According to CPC Strategy Blog, e-commerce website’s sales are growing by more than 19% a year and it is predicted that the revenue from e commerce sales will be almost $1.4 trillion in 2015. In the U.S. alone e-commerce is said to be growing by 10% every year. The growth rate of e-commerce has been exponential. These days online shoppers are not only looking for good money saving deals, but they also expect a great online shopping experience. 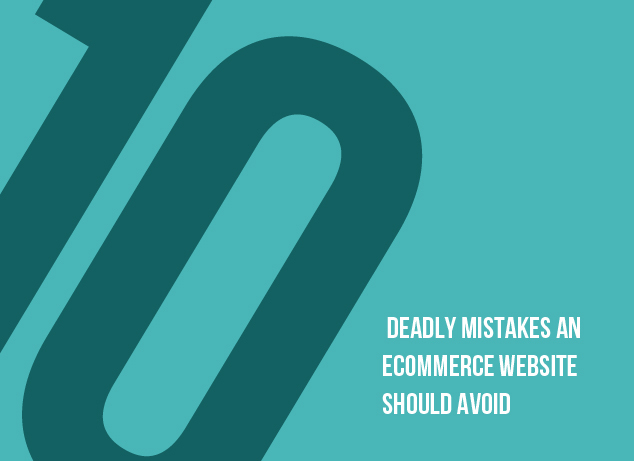 Listed below are the 10 deadly mistakes an e commerce website should avoid. Making your e commerce website mobile-friendly is not a requirement, it is but a necessity. A majority of users prefer to use internet on their mobile phones while shopping. According to Betaout 78% of internet mobile phone users claim that the look and feel of an e commerce website has a direct impact on influencing their decision to purchase from it. A picture can speak a thousand words. 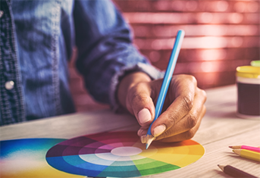 Visuals are very important for an e commerce website as customers cannot touch or feel the products they purchase. In the e commerce website, it is necessary to include high resolution images of products from various angles. A ComScore study reveals that when videos are included in the e commerce website, visitors were 64% more likely to purchase the product or service from that website. It was also noted that customers stayed for an additional 2 minutes on e commerce websites which had videos. Customers purchase products and services without physically seeing or touching them from your e commerce website. A video demonstrating how to use your product does go a long way in influencing the customers’ decision to purchase the product. One of the most common mistakes an e commerce website makes is having too many call to action buttons on a single page. This can confuse shoppers and there are chances of them moving on to another website to make their purchase. An e commerce website must have one call to action button on the landing page. Well designed product pages go a long way in improving shopping experience of customers. The product page must be made attractive with a clear description of the product. A majority of e commerce websites copy paste the product description from the brand website. An e commerce website must provide a product description that is self-explanatory. Easy navigation and user-friendly interface are important, but the time your e commerce website takes to load will have an impact on user-experience and the search engine rankings of your website. If an e commerce website takes a lot of time to load, customer will move on to another website to make a purchase. Slow website experience can leave the customer frustrated. Your e commerce website must have pages that do not take too much time to load. One of the primary reasons that customers do not purchase from a particular e commerce website is because they do not know where they can go to for help, when they need it. It is necessary that your e commerce website offers help through live chat, by e mail or by telephone support. After sales customer and technical assistance is another feature that shoppers look out for in an e commerce website. Social media can be used to not only create brand awareness but it can be also used to divert potential traffic to your e commerce website. According to a recent research study, 68% of consumers check out social media pages of brands before making a purchase. 78% customers say that the post made by companies on social media go a long way in influencing their decision to purchase the product. This makes it essential for your e commerce website to have a strong and active social media presence. User experience is often taken for granted by e commerce website owners. Before launching an e commerce website, it becomes necessary that you pretend to be a customer and test it. 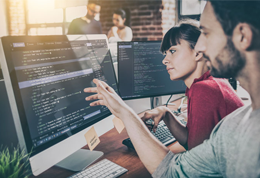 You can check aspects like the time the website takes to load, is it easy to navigate the various pages of the website, are the payment and check out process error free in the testing stage, if you come across any discrepancy in the website, you can rectify it before it is launched. Just creating and launching an e commerce website is not enough. You must work towards promoting your website. Website promotion can go a long way in spreading awareness about your e commerce website and also in diverting traffic to your site. You can take the help of a public relation officer to promote your e commerce website.